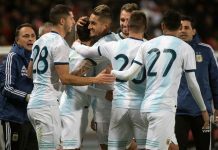 Lionel MESSI, Paulo DYBALA, Lautaro MARTINEZ and Angel DI MARIA are all rumored to start for Argentina. 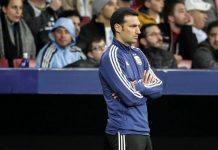 Coach Lionel SCALONI is runored to start the four players on Friday in the friendly match against Venezuela. 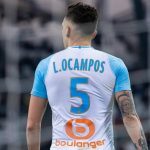 Per a report by TyC Sports, in addition to those four, Nicolas TAGLIAFICO of Ajax, Giovani LO CELSO of Real Betis and Leandro PAREDES of PSG are likely to start as well. Woah of Messi, Dybala, Martinez to start? It is only possible if Dybala does not play the same line as Messi and plays right mid along with LoCelso on left and Parades as a DM/CM. So perhaps a 4-3-3 without the ball and transitioning into a 4-3-2-1 with the ball ? Either way cannot wait to see Scaloni’s tactics today… anyone else feel Scaloni is ‘learning-on-the-job’ and learning fast? I can not watch the game tomorrow, but where can I watch it later? Like in the next morning..? So is there any page which offers those re-runs?? fubo.tv bro. Keep calm and fubo on. I think the problem is at the defence line and defending midfielder (held by Mascherano before). We were fragile at the WC especially against Croatia and France. I like how the backline played under Sabella at WC 2014. Until this problem is solved, I don’t see we can compete fairly with Brazil and other European teams like England, Spain…. Lots of mundolites worrying to much about , how gonna Messi and dybala fit together ? , Some say they cannot do it, others say dybala useless. 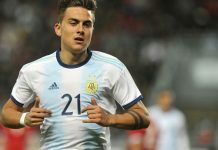 Let’s just wait and see what happens , if scaloni wants to start dybala and Messi together , then he has got something in his mind , afterall he knows much better than us , isn’t it ? So let’s just wait and hope. 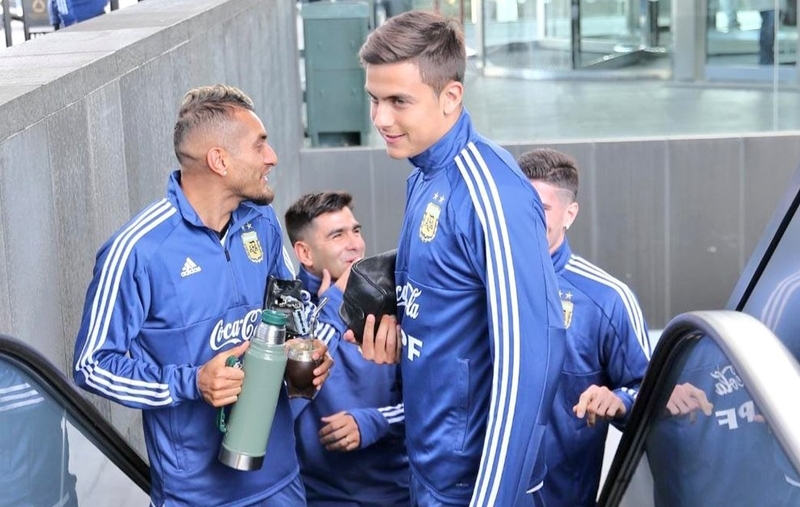 I think dybala is useless .Lautaro Martinez needs to improve and too immature to be number9. Dybala has to play in the exact same position he does for juv as he is best at it by far, any where else he is just short of useless but i will say for me i feel time is running out for him to prove he can do it for the n/t as he does with his club, with out a doubt a stunning club player but so far at n.t level is very average. some times we get a player who for what ever reason just does not “fit”, i hope im wrong but Dybala could be that player but in saying this is really hope not as i do rate him very highly. When you say time is running out for Dybala. CAn you tell me how many times he has the opportunity to play for NT without any pressure? (don’t count fragments of game he had here and there) Do you remember how long it took Messi to be fully comfortable in the team? Its the same thing for Aguero, He never got a chance to be considered as the number one of the team like Batistuta, Crespo and even Higuain. 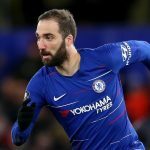 Guys I just want you to be fair…..
Gromoso: so far hes had 18 caps and 1 goal-sadly the problem is we simply dont have time, the n.t only gets very few games a year. it does not matter when a player takes the field as they have to take their chances, every time any player steps on the field its an audition to see if that shirt, that is not theirs will be on their back next time. n.b im a massive fan of Dybala and i really believe in him with the n.t but as ive said many times before no 1 is bigger then the shirt and i expect players to “sweat” every time get the chance to wear it. Rather I want Mancini or De Paul in stead Demaria because all will be left leged player Messi, Lo Selso , Dybela , Demaria all are left. So we should add a right leged player in the left wing.And De Paul may be the best choice….. This is to me, a very well mannered team. We have all our best players, but we also have a good balance. Paredes and Lo Celso are great on the ball, Paulo will not only give that, but he has great shots and passing. Tagli has been in fire form and he has great pace without sacrificing defending. He would have paired very well with Mammana. Di Maria, although an old timer, will provide good skills on the left and will be a mentor to our players. And of course, King Leo, our captain, our hero! Finally our beloved team is back in action. I wish all of our players luck and success. Messi and Dybala will work unless the coach is stupid and has no idea. But if he does, it will work. Perhaps, coaches who are looking for a certain styles of play it will not work, but with a coach who knows get best out of players it will work. And who ever coaches Argentina needs to understand that the age of conventional wingers is over. Fullbacks are the new wing attackers. Modern football is about covering and exploiting spaces. Conventional wingers do not have a role in modern football unless they can defend and join midfield to compact space off the ball. The team needs to be compact…..like barca to defend with a minimum of 8 players behind the ball. Barca playing style is different, its more similar to Pekerman’s Argentina. The distance between players are really close so there’s always a short passing option. When Messi got locked by few opponents, he’d play triangle passes or one-two. So when they attack, even the defenders would be out from their position and move alot more into midfield. This is why Barca is vulnerable against fast counter attack every now and then, but you’d see their midfielders and defenders occasionally scores and provided an assists. Then again, we dont have someone at the back who can run fast , up and down all day like Alba. That’s the idea, but would it work? We saw what disaster Di Maria is at the Left flank, and how he flourishes at the right flank. But with Messi and Dybala who also like to play on the right flank, it’ll be a little chaotic on that side of the pitch. Personally, I still believe that Messi and Dybala can’t play together. The only way the can play together if there is NO CF up front, giving them both freedom to go anywhere on the pitch. If say Aguero, Lauturo, Icardi, etc is introduced, then it’s either Messi or Dybala, but both can’t play. They are too similar. Let Di Maria have the right wing all to himself, and work his magic. Same for Lanzini. Give Messi freedom to roam, and Aguero occupying the CB’s. I think if dybala focuses on staying towards the sides of the field and lets messi dominate the center than they can play together it just wont be like how everyone would want them to. I like di maria opposite of dybala because hes a wayyyy faster player that provides the team a good vertical attack and can come back on defense (i think cervi is good for this role if di maria isnt playing well). I also like pereyra for left wing/left attacking midfield because hes better coming back on defense and can play more back giving dybala and messi more space to move free. I think the main idea for dybala and messi is messi plays as the center of the team and dybala becomes more of a role player that provides teammates with passes/vision/tight dribbling so messi can focus on play making.